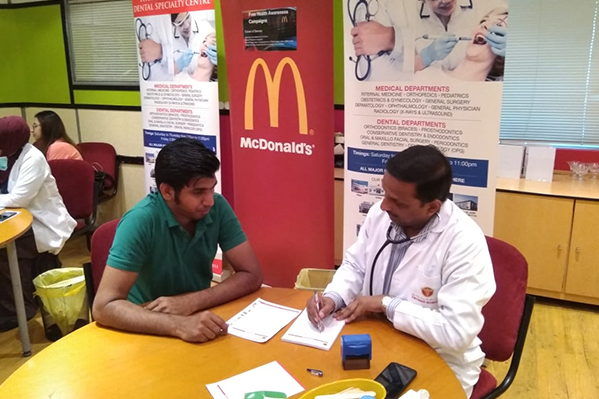 Thumbay Medical & Dental Specialty Centre Sharjah Successfully Organized Health Awareness Event at McDonalds Head office, Sharjah on 6th Sep 2018. 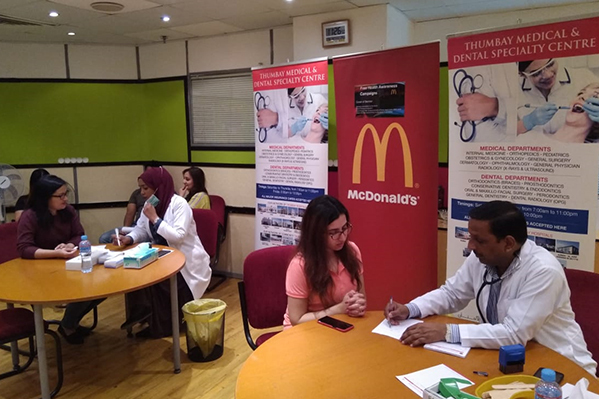 The event included consultation with General Practitioner & Dental Screening, Blood Sugar, Blood pressure and BMI checkup.Thumbay Medical & Dental Specialty Centre Sharjah has been conducting such health camp as a part of Corporate Social Responsibility at various locations in Sharjah, to raise health awareness among the public. 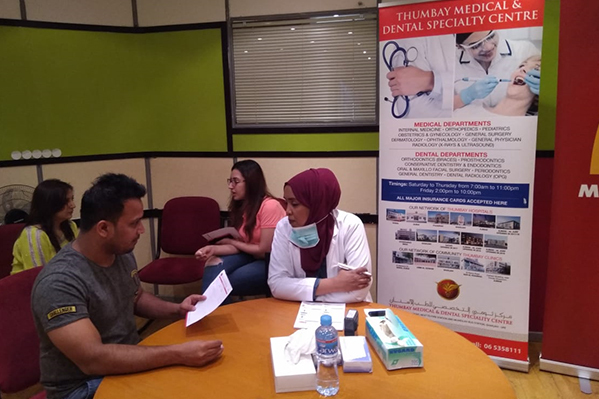 Thumbay Medical & Dental Specialty Centre, Sharjah is a constituent unit of Thumbay Group, have maintained their vision of providing the best possible healthcare services in the UAE through their focus on clinical excellence, patient-centricity, ethical practices and transparency with the highest level of care and comfort. It serves high quality medical services and personalized attention for both patients and their families. 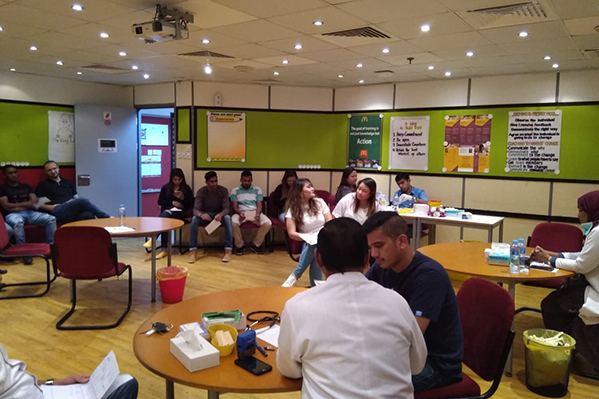 The dedicated team of professionals at center ensures that your visit is pleasant, hassle-free, comfortable, so that you can focus on getting back to the best of your health.